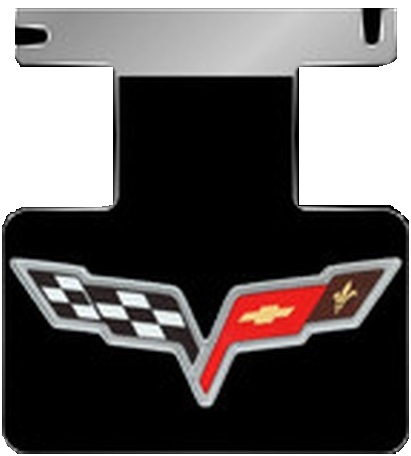 Introducing the newest and easiest way to dress up your 05-13 C6 Corvette's rear end. Our custom made Exhaust Enhancer Plates have been pre-approved as factory authorized aftermarket enhancements, and are built with the finest quality stainless steel/acrylics. Instructions included. Mounted on Heavy-Duty Polished Mirror Stainless Steel and expertly hand assembled using Black Enhancer-Gel, which feature premium metallic foil background and UV protective epoxy coating to endure the harshest environments and speeds. Installs easily using existing hardware with no modifications. 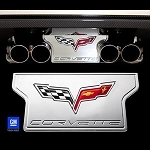 Fits stock exhaust, some aftermarket exhaust systems may hide enhancer. Q: What does npp mean ?